"Nobody better lay a finger on my Butterfinger cookies!" At least that's what Bart Simpson would have said if he had a batch of these. One of my favorite candy bars when I was a kid was Butterfingers. Not only because it's peanut butter and chocolate (which is like the greatest combo on earth), but you just can't beat that "crispety crunchy" texture. So, when I saw this recipe for Butterfinger Peanut Butter Cookies on Merlot's blog, Goddess of Baking, I just knew I had to make them. I even had an excuse for baking (not that I need one of course) since my sister's birthday was coming up and all she requested was that I send her homemade cookies, lots and lots of cookies. Done!!! I ended up sending her a whole assortment and included at least a dozen of these in the package. 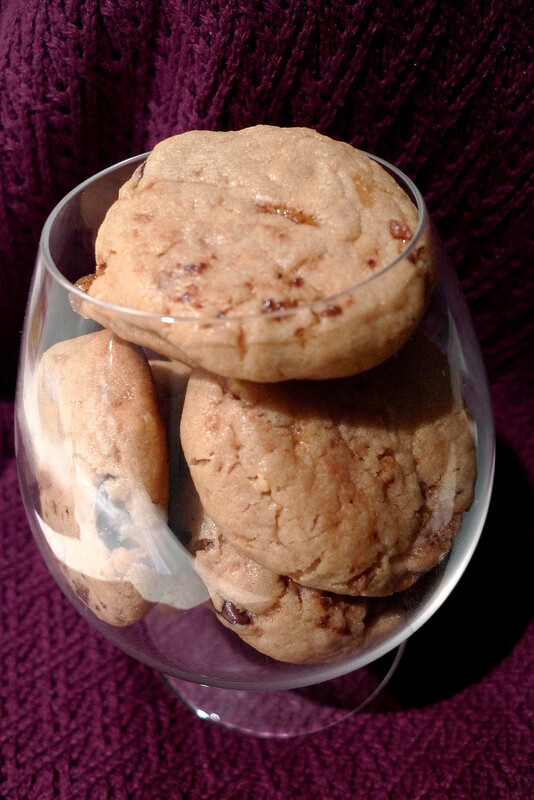 I'm telling you, you will love these cookies. 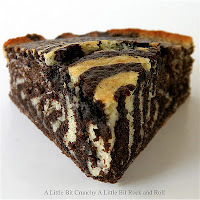 They are wonderfully thick and chewy and full of yummy peanut buttery chocolatey flavor in every bite. Thank goodness I could send them off. Otherwise, I think I'd be tempted to eat them all myself. Yup, my sister's gonna devour these for sure. Preheat oven to 350F. Whisk together the flour, baking powder, and salt. Beat peanut butter, butter, sugar, and brown sugar until smooth. Reduce speed to low and add egg and vanilla. Mix until combined. Add flour mixture and mix until just combined. Stir in the chocolate chips and chopped Butterfinger candy. 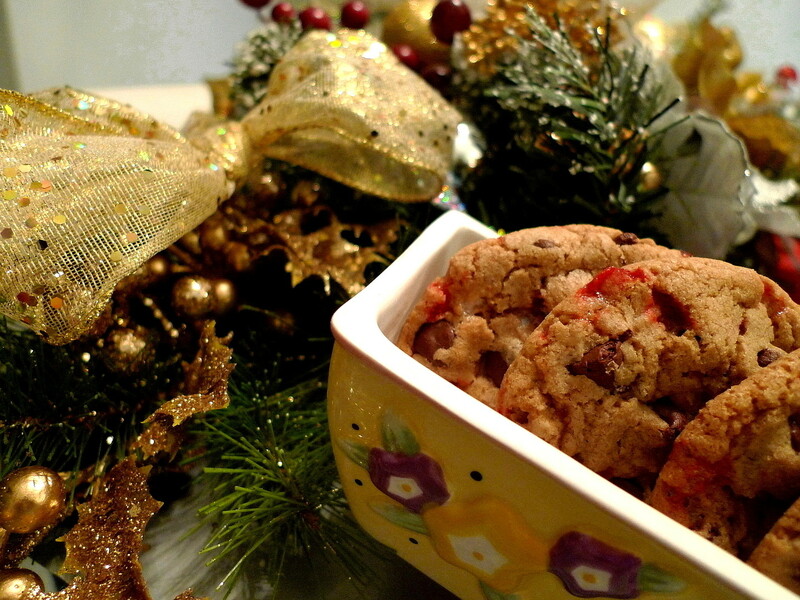 Scoop dough onto a prepared cookie sheet. Bake cookies until edges are golden brown, 12-15 min., reversing sheets halfway through. Cool the cookies on the baking sheets about 3 min., then transfer to a wire rack and cool. Cinnamon rolls AND cake? Where's my fork??? These cookies are stamped with love. Chocolate and peanut butter - need I say more? The secret? 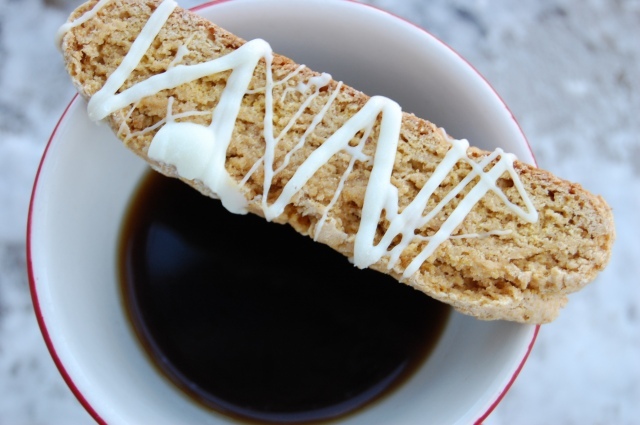 No whipped cream required. 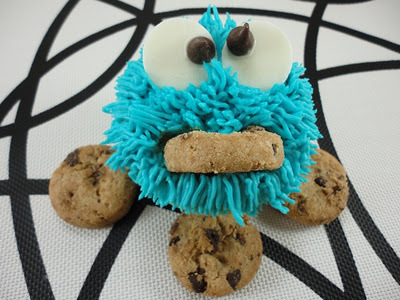 Looks like Cookie Monster has the right idea. This bread is so good that I've already made it twice. The olive oil in it gives each bite a silky mouthfeel and the herbs and seasonings make it one of the most flavorful breads ever. 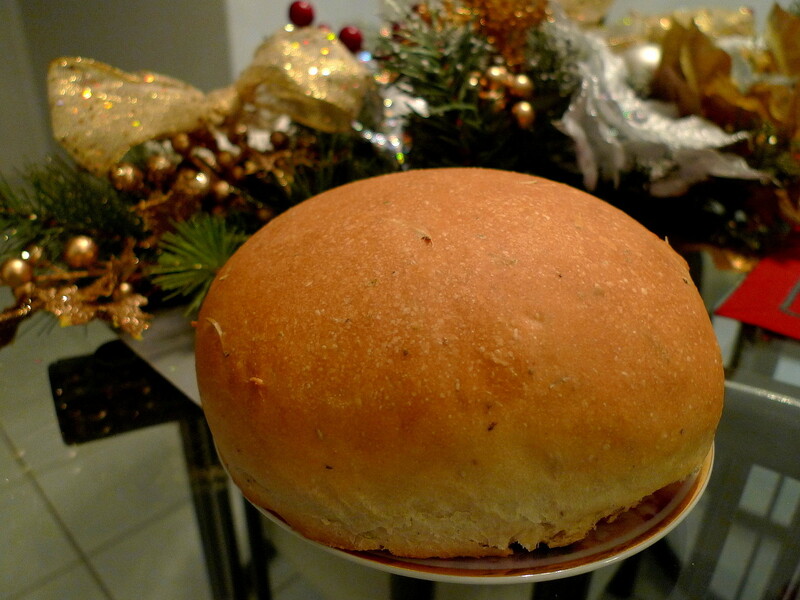 It's the perfect addition to any dinner and would make awesome rolls as well. Give it a try! Combine the warm water with the sugar and sprinkle in the yeast. Let sit 5-10 min. until foamy. Add the olive oil, Italian seasoning, black pepper, rosemary, and 1 c. flour. Stir to combine. Add the salt and the rest of the flour, a 1/2 cup at a time, until the dough no longer sticks to the side of the bowl. Turn out onto a lightly floured surface and knead for 5-8 min. until it is elastic and passes the windowpane test (i.e. Pull off a small piece of dough and stretch it with your fingers until it's so thin you can nearly see right through it (like a windowpane). If you can manage to do this, you've kneaded it enough. If not, keep kneading it.) You will probably end up kneading in another 1/4-1/2 cup of flour in the process. Form the dough into a ball and place in a well-greased bowl. Turn the dough to coat it with the oil. Cover the bowl tightly with plastic wrap. At this point, you can cover it with a towel and place it in a warm place to rise for 1 hour, or until doubled in size. Or, you can make the dough the night before and place it in the fridge to rise overnight, which is what I did. When the dough has doubled in size, punch it down and shape it into a loaf. You can either make a freeform loaf and put it onto a cookie sheet, or you can make one 9x5 loaf pan or three mini loaves. After shaping the loaves, cover with a greased piece of plastic wrap and let rise 1 hour, or until doubled in size. Preheat the oven to 375F. Bake about 20-25 min. (mini loaves) or 30-35 min. (large loaf) or until golden brown. Oh my gosh, I can't believe that I forgot to post Sweets for a Saturday! I have never forgotten, but I guess there has to be a first time for everything. For whatever reason, I kept on thinking that I had another day. That is until about 10PM Friday night when that light bulb went off in my head and I literally freaked. I promise I'll totally remember from now on. One man's trash is everyone else's treasure. Just when you thought butter couldn't get any better . . . These cookies will have you jumping for joy. What's in a name? 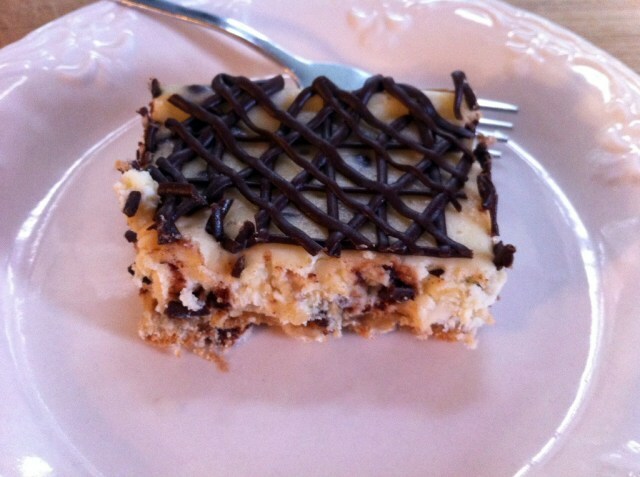 No matter what you call them, these bars are yummy. 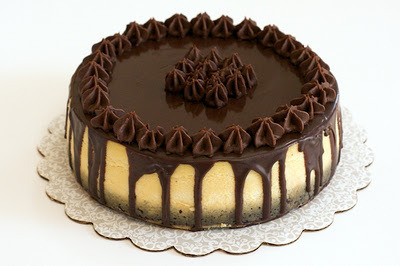 Chocoholics unite for this cheesecake! 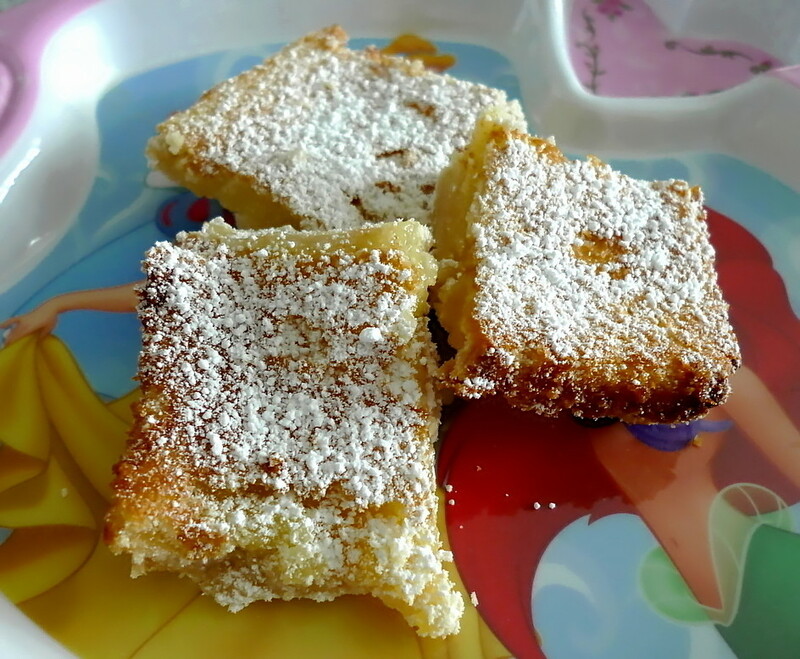 The first lemon bar received great compliments. 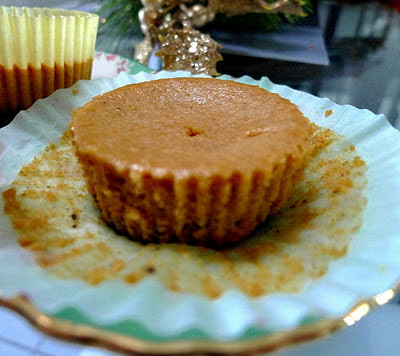 However, I still believed that another recipe could be even better and I was sure my family would agree. 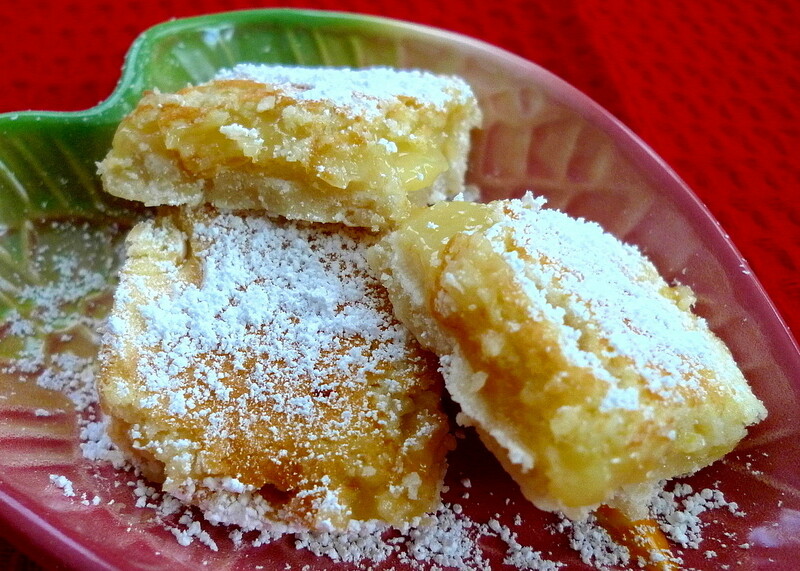 So, I proceeded on to make Allrecipes' Lemon Pie Bars. Although these use less lemon juice than the Lemon Square Bars, they also have less sugar so I figured they'd be a little more tart. Plus, they have some lemon zest which would brighten up the flavor as well. Sure enough, my family agreed that the lemon flavor was more pronounced in these bars. Hence, they were better. 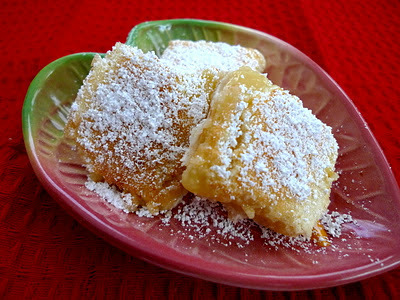 In addition, I learned my lesson from the first lemon bars and baked these for less time. As a result, the lemon filling was less solid and more gel-like (as my sister puts it), also a good thing. We tried one more lemon bar recipe but it couldn't compare to this one. These are clearly now the favorite in our family. Preheat oven to 350F. 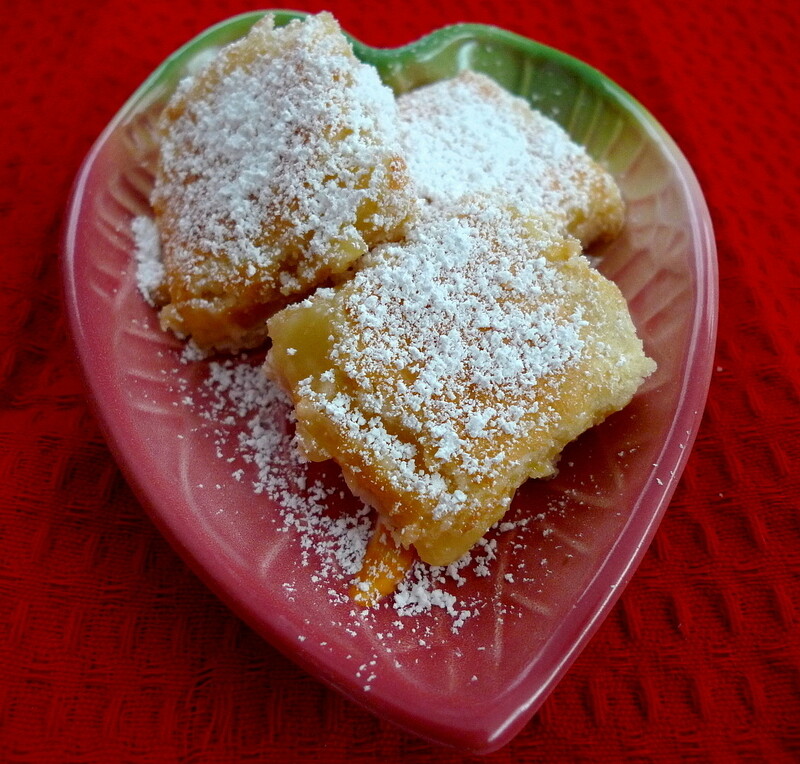 Combine the flour and powdered sugar. Cut in the butter. Mix well until the dough resembles pie dough. Press the dough into a 9x13 pan. Bake 15-20 min. or until golden brown. Beat together eggs, sugar, flour, lemon juice, and lemon zest for at least 1 min. Pour the mixture over the baked crust. Bake the bars for another 15-20 min., or until the lemon topping has set (mine took 15 min.). Sprinkle with powdered sugar when cooled. Oh my gosh, would you believe that this is the first anniversary for Sweets for a Saturday? I always dreamed this day would come. It's been one fantastic year. I've loved every week of it, meeting so many new amazing bloggers, staring goggle-eyed at the thousands of mouthwatering treats that have been linked up, and reading all your sweet comments. Thank you all for joining in and sharing your talents. Here's to another sugar-high filled year!!! Last week's Sweets for a Saturday was HUGE!!! There were over 200 treats linked up. Congrats to all those who are in this week's Top 5. Plus, I added another Top 5 to showcase what some newcomers linked up. 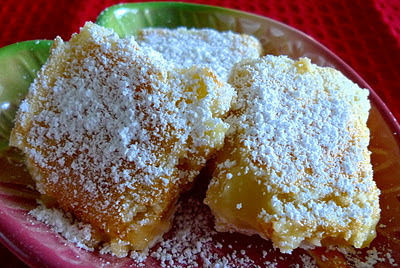 According to my family, there is this awesome bakery on Oahu that makes lemon bars. They had tasted some of them and raved about them ever since. 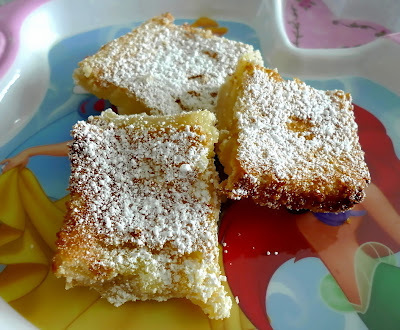 They believe that no homemade lemon bar can possibly compare. Oh we'll see about that. Challenge, accepted. 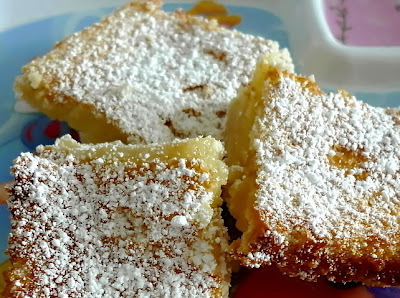 Since I had never tasted one of these lemon bars, I would have to rely on their descriptions to try and find a recipe that might match. All they could tell me was that it had a shortbread crust and a filling that was not too tart and not too sweet. Unfortunately, that basically described every single lemon bar recipe that exists. I still had no idea of how tart or how sweet. So, I decided to try a couple of recipes and see what they thought. The first recipe I tried was the Lemon Square Bars from Allrecipes. It had a moderate amount of lemon juice so I figured it would be good to start there and then work my way up or down the tartness scale. The only changes I made was to halve the amount of sugar in the crust (since my family wanted buttery rather than sweet) and to use cold butter instead of melted (me and melted butter just don't mix). I may have overbaked them just a little too much, but it all turned out okay. 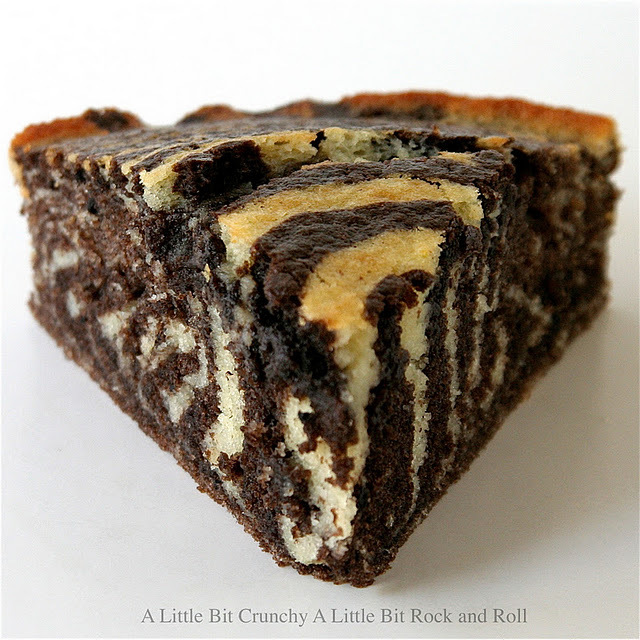 The bars had a good crust to filling ratio and the filling had a mild lemon flavor. My family thought they were quite good. 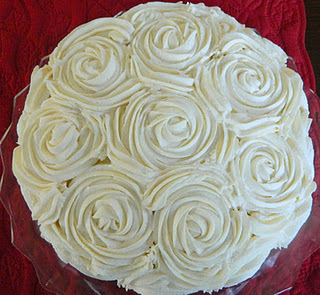 But, I'm not quite satisfied so I think I'll try another recipe to see if we can up the tartness just a bit. In a medium bowl, stir together 2 cups flour and confectioners' sugar. Blend in the melted butter. Press into the bottom of the prepared pan. Bake in the preheated oven for 15 minutes, or until golden. In a large bowl, beat eggs until light. Combine the sugar, baking powder and 1/4 cup of flour so there will be no flour lumps. Stir the sugar mixture into the eggs. Finally, stir in the lemon juice. Pour over the prepared crust and return to the oven. Bake for an additional 15 minutes or until bars are set. Allow to cool completely before cutting into bars. I've always wanted to try making my own pizza from scratch. So, when my mom asked what we were going to make for dinner tonight, I figured, what better time than now? Let's do it! The pizza crust is very much like a basic bread recipe. The only problem I ran into was when it came time to stretch it into shape. I tried pulling it, I tried tossing it, I tried letting gravity stretch it down. And, either way, the dough became too thin and I got holes in it. Finally, my dad suggested just laying it down and slowly pushing out from the middle. Voila! It worked. For toppings, I just used whatever we had in the fridge, which turned out to be tomatoes, spinach, and onions. I did caramelize the onions though for a little extra flavor. We also didn't have any pizza sauce or the ingredients to make any. But, we did have a jar of spaghetti sauce. I cooked it down to reduce it and make it thicker. The finished pizzas were delicious and the crust was crisp and chewy, just as it should be. The spaghetti sauce gave it a little different flavor, but we didn't mind one bit. Slice after slice disappeared. G'bye store-bought pizza. 3) Place the dough in a lightly greased bowl, cover the bowl, and allow it to rise till it's very puffy. This will take about an hour using instant yeast, or 90 minutes using active dry. If it takes longer, that's OK; just give it some extra time. One 1"-thick 14" round pizza. 6) If you're making a rectangular pizza, shape the dough into a rough oval. 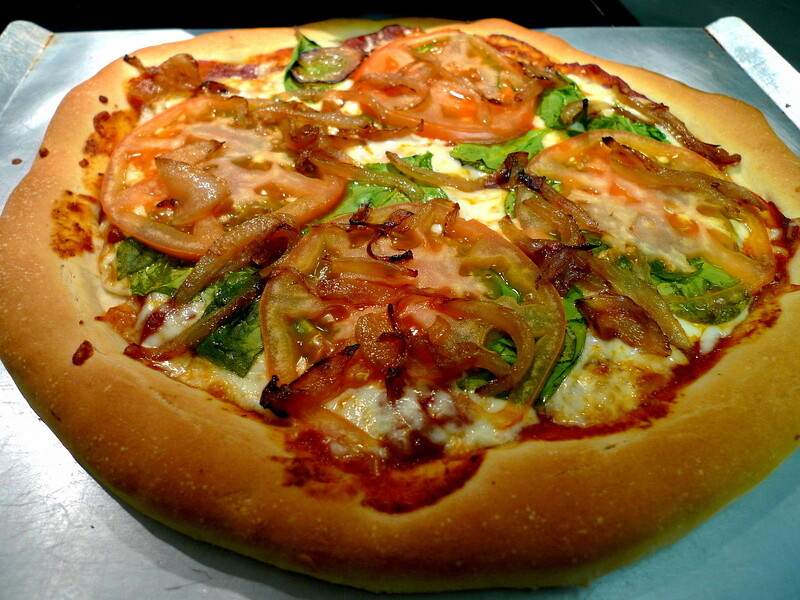 For a round pizza, shape it into a rough circle. In either case, don't pat it flat; just stretch it briefly into shape. Allow the dough to rest, covered with an overturned bowl or lightly greased plastic wrap, for 15 minutes. 8) Place the dough in the prepared pan(s). Press it over the bottom of the pan, stretching it towards the edges. You'll probably get about two-thirds of the way there before the dough starts shrinking back; walk away for 15 minutes. Cover the dough while you're away, so it doesn't dry out. 10) Allow the dough to rise, covered, till it's noticeably puffy, about 90 minutes (mine took 30 min.). Towards the end of the rising time, preheat the oven to 450°F. 11) Bake the pizza on the lower oven rack till it looks and feels set on top, and is just beginning to brown around the edge of the crust, but is still pale on top. This will take about 8 minutes for thinner crust pizza; about 10 to 12 minutes for medium thickness; and 12 to 14 minutes for thick-crust pizza. If you're baking two pizzas, reverse them in the oven (top to bottom, bottom to top) midway through the baking period. 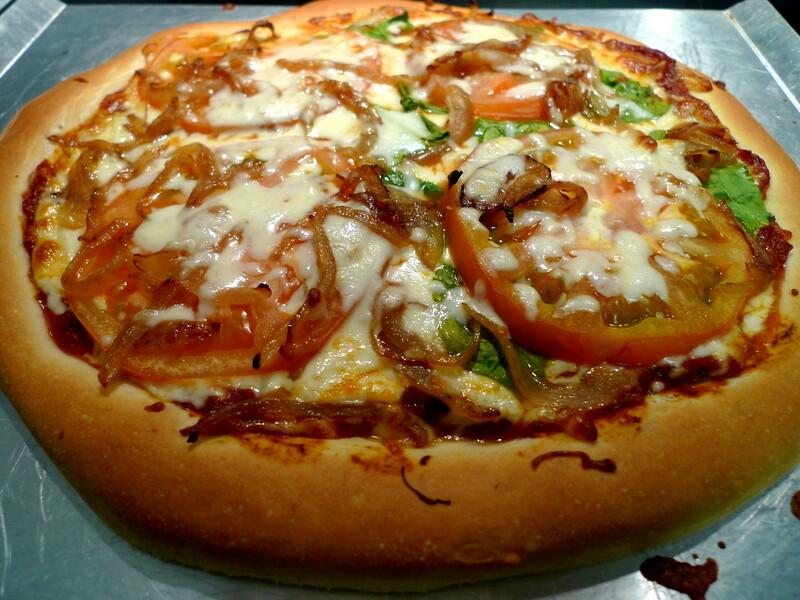 12) Remove it from the oven, and arrange your toppings of choice on top. Return to the oven, and bake on the upper oven rack for an additional 10 to 15 minutes, until the crust is nicely browned, both top and bottom, and the cheese is melted. Check it midway through, and move it to the bottom rack if the top is browning too much, or the bottom not enough. 13) Remove the pizza from the oven, and transfer it from the pan to a rack to cool slightly before serving. For easiest serving, cut with a pair of scissors. 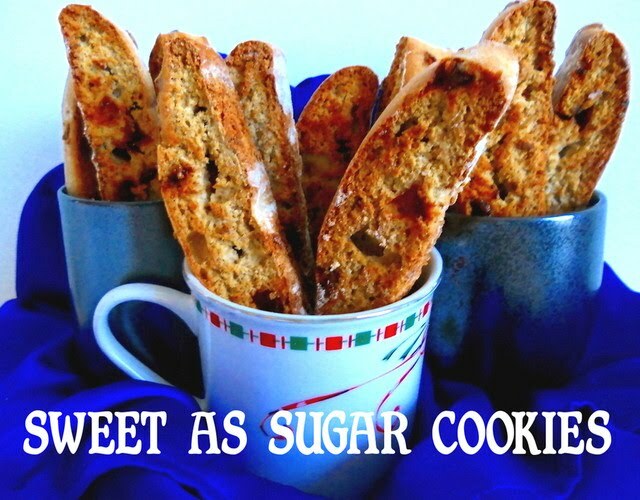 Sweet as Sugar Cookies has just gone over the 1000 followers mark! I am floored!!! Thank you to all you loyal readers. It simply wouldn't be the same or as much fun without you. 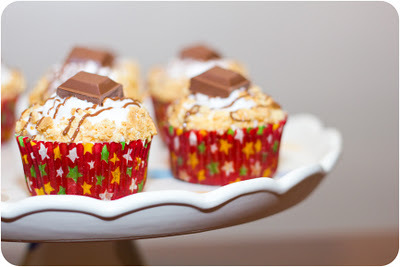 As for last week's Sweets for a Saturday, it was awesome. There were a lot of new people who joined in and I welcome all of you and hope you'll continue to be a part of the party. And, to top it off, I am now on Pinterest! This is only a bite of the deliciousness she has to offer. Nutella French Toast - 'nough said. 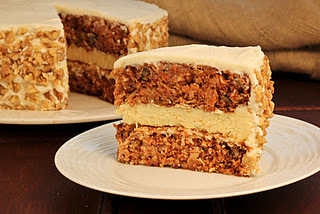 The absolute epitome of carrot cake! I was kind of bummed when I found out that we wouldn't be having a reveal day for the Secret Recipe Club this month. I had been assigned to the Beantown Baker and was totally excited since I've been a longtime follower of her blog. 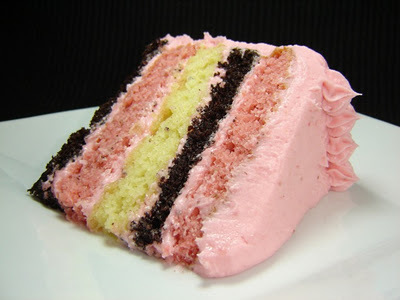 She has so many amazing recipes and I couldn't wait to make one of them and post about it. But, hey who says there needs to be an official reveal day? I decided to go ahead and do the assignment anyway. 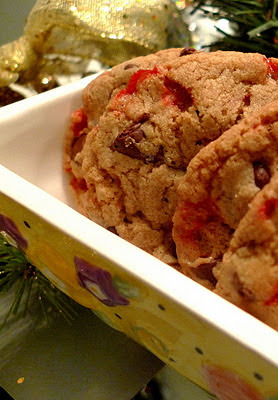 I chose her Peppermint Chocolate Chip Cookies since I had some candy canes lying around the house. 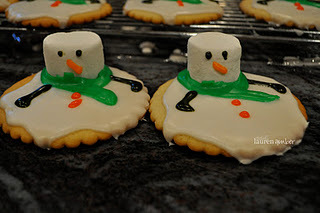 As I made them, I was kind of worried that the peppermint flavor would be a little overwhelming. But, to my surprise, I tasted one after they were baked and the flavor of the peppermint and chocolate chips actually blended together perfectly. 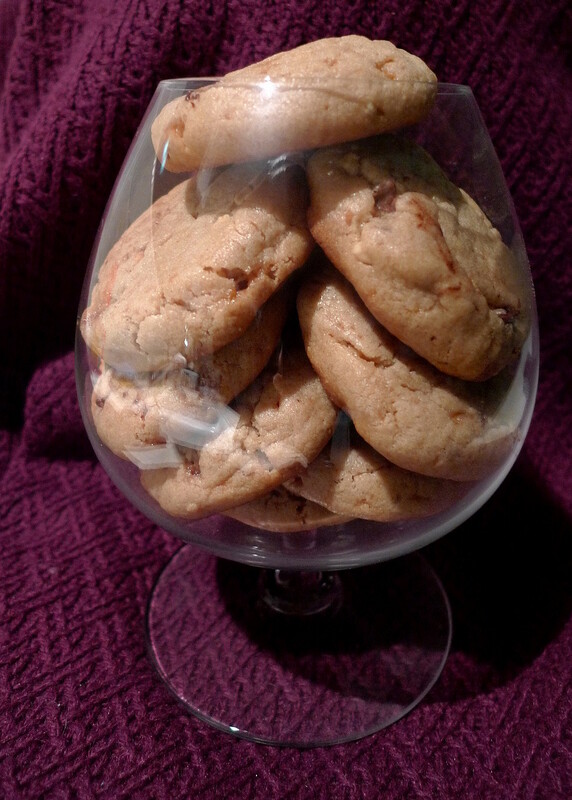 The cookies were also delightfully chewy. My family enjoyed these every bit as much as I did. Thanks Beantown Baker for opening my eyes to a new cookie recipe. Preheat oven to 350F. Line two baking sheets with parchment paper, or lightly butter them, and set aside. In the bowl of an electric mixer, or stand mixer fitted with paddle attachment, or a large bowl if mixing by hand, cream the butter and sugars until light and fluffy. Add the eggs, one at a time, beating well and scraping down the sides of the bowl after each addition. Beat in the vanilla. Sift the flour, baking soda and salt together in a small bowl. Add the dry ingredients to the butter-sugar mixture, and mix until just combined. Fold in the chocolate chips and crushed candy canes. 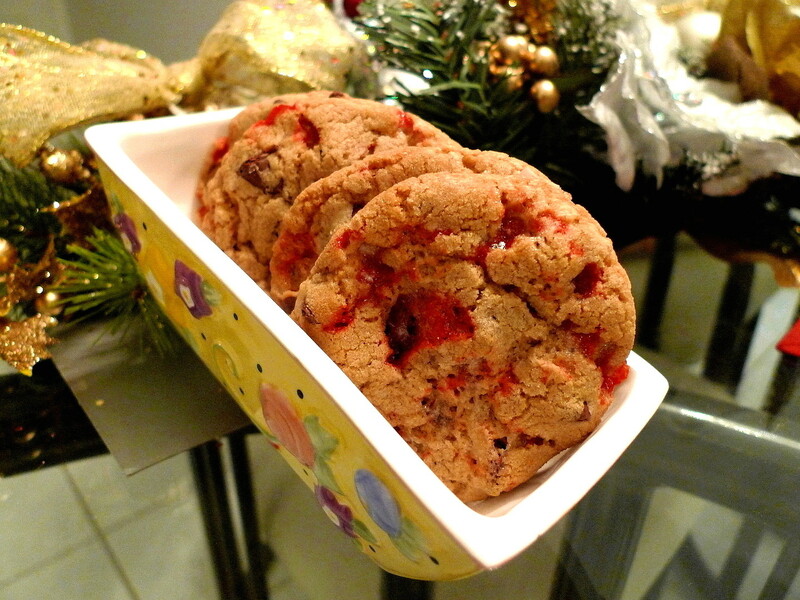 Using a cookie scoop or two spoons, scoop cookie dough onto prepared pans. 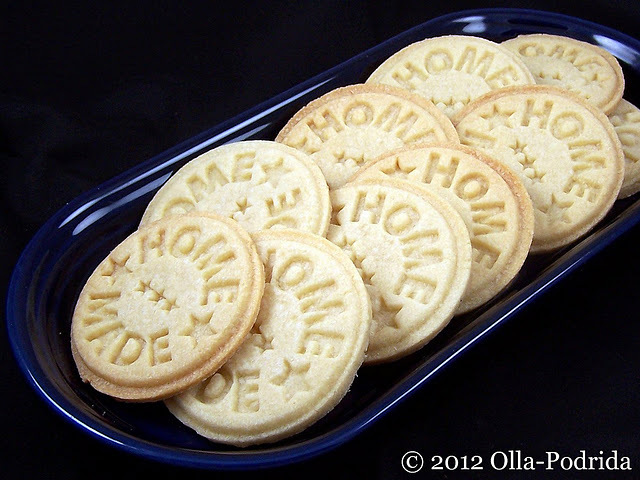 Bake 12-15 for smaller cookies, 14-17 for larger ones or until the tops are a light golden brown. 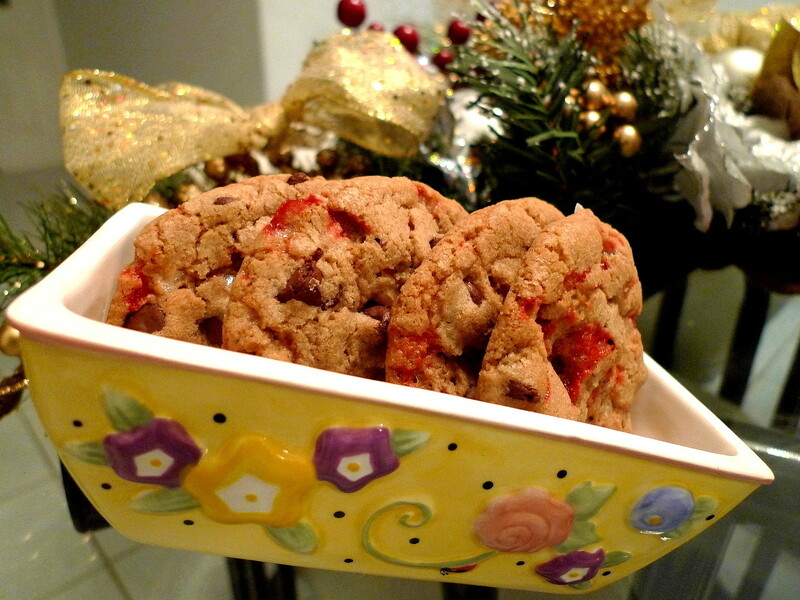 Cool the cookies on the sheets for 5 minutes, then transfer to wire racks to cool completely. Hope you all had a wonderful New Year's Day. As for me and my family, we all got together for a New Year's Eve lunch filled with tons of delicious food. We made Korean fried chicken, wontons, macaroni salad, and nishime (traditional Japanese stew). My grandma made her special fried shrimp. 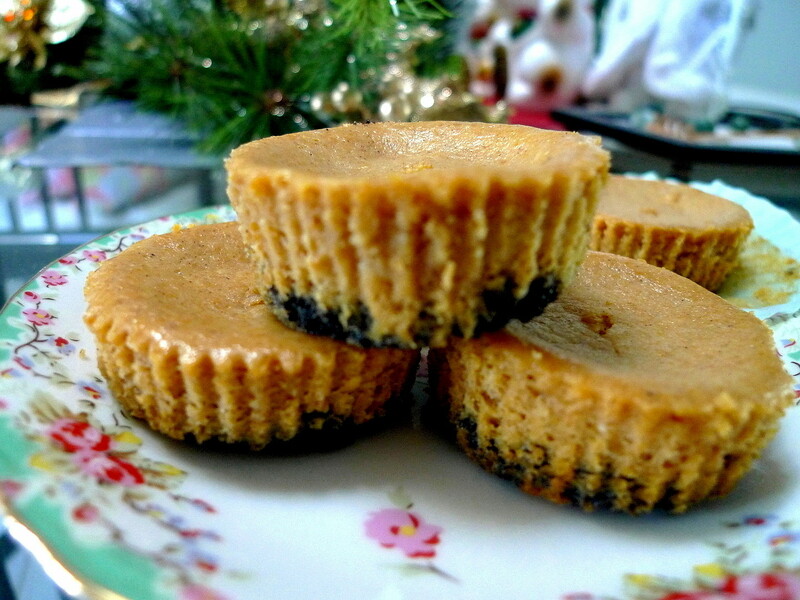 I also contributed by making these Mini Black Bottomed Pumpkin Cheesecakes for dessert. They're totally easy to put together and absolutely scrumptious to eat. Plus, their small size makes them the perfect ending after a big meal. The only change I would make next time is to use gingersnaps instead of Oreos for the crust. But, otherwise, everyone loved them. Preheat oven to 350F. Combine ground Oreos and melted butter into a bowl until wellcombined. Spoon into a 12-cup muffin tin that has been sprayed with cooking spray or lined with muffin cups. Press into the bottom of each cup so the crust is flat. Bake for 10 min. then remove from oven. 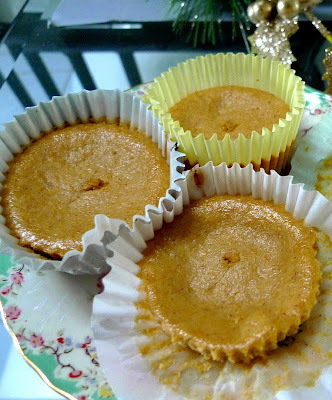 In a stand or electric mixer, beat the cream cheese, sugar, and pumpkin until smooth. Beat in egg, vanilla, cinnamon, and nutmeg until combined. Pour evenly into the 12 cups, filling each about 3/4 full (about 2 Tbsp. per cup). 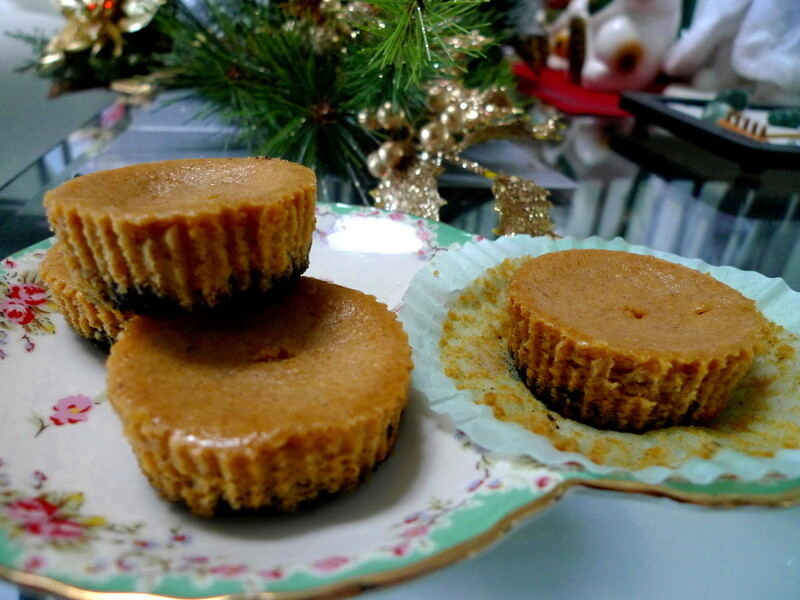 Bake for 25-28 min. or until cheesecake is cooked through. Let cool completely. Refrigerate until ready to serve.